Fee starts from $600. Contact the artist for more information. All travel, lodging, framing and shipping expenses are in addition to the fee. 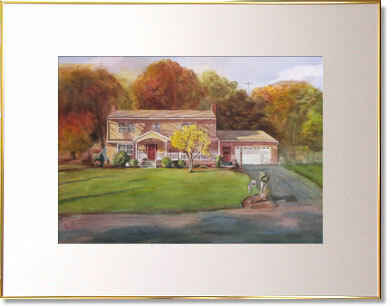 I usually require a two to three hour session during which I take many photographs and often paint an watercolor sketch. This sitting is usually held at my client's location. However, if the client can provide good photo references (more than one digital images preferred), I can work from these images, too. A 50% deposit is requested at the sitting or when the commission agreement signed. Before painting, I will post a drawing study for my client's approval. This sketch is a small version of the portrait which allows the client to review the composition. Once the study has been approved, the painting will be started. Upon the final approval of the painting and the transaction of the final payment, the painting will be shipped to the client.